Mobile and Apps are on a constant ever-changing environment. The mobile market is saturated with technological advancements of every kind. A recent stat indicates that there are over 2 million apps on the Google play store. App developers around the globe are on a constant rat race to bring their app to the hands of potentially every mobile user. We have witnessed different strategies to help them get to this place. From exciting offers, cashback, contests, lottery offers, and many other creative ways, mobile apps have come a long way. However, very recently, we’re seeing this trend of scratch cards. How does it work, well basically the system generated cards to users that will bring some sort of benefit. This benefit could be anything from monetary or other offers related to the app itself. This has picked up steam especially in the India market. The psychology of this is basically users get the excitement of receiving a reward rather than the rewards itself. The drive to receive the reward pushes users to do a task the app developer deems fit. 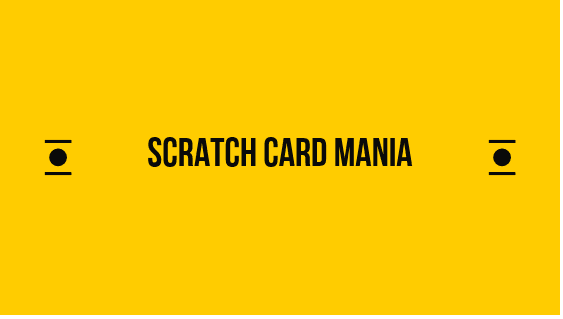 The scratch card system is in its early stage, however, there are early adopters. The few who have taken the leap have seen a drastic increase in both user acquisition and retention. Google has simplified the way payments are done. In February 2018, the company announced it’s combining all of its different payment methods into one unified brand, called Google Pay. Google launched Tez as a payment service in India around a year ago — but now it looks like the company is giving Tez yet another big push. Part of that includes the rebranding of Tez to Google Pay, bringing it in line with Google’s other payment services. Beyond that, Google Pay now is now a fully-fledged payments app that gives users the ability to pay to vendors both online and offline in seconds. The sheer number of users is as good an indicator as any, and Google Pay has that covered after hitting 100 million downloads on the Google Play Store. It’s slightly unfair to say that it was Google’s branding that did all the heavy lifting. However, it quadrupled its user base by providing “Scratch Cards”. This eventually became a buzzword in the market. This has led other early adopters to implement and gain market-share. AppBrowzer is India’s premier all-in-one app. What does that mean exactly? Well, with AppBrowzer, users can get instant access to multiple services in one app. With prominent categories like shopping, social media, games and travel getting a prominent place in the Indian market. The developers at AppBrowzer had the idea of bringing it all together in one app. This immediately solves majorly two problems, one is the space storage in mobiles especially in India with budget phones. Second, for end users themselves, giving them access to everything in one place. This reduces the clutter of apps on smartphones. With over 2 million apps on the play store alone, AppBrowzer proves to solve this imbalance. They introduced the scratch card feature early January 2019 and saw a 400% rise in installs and 200% retention. Currently, they’ve hit 1.5 million users on the play store and are on the course to hit 5 million by mid-year. Follow their blog to get the latest news and updates. PhonePe is an Indian app that is striving to bring payments in one place. Headquartered in Bangalore, India. It was founded in December 2015. It provides an online payment system based on Unified Payments Interface (UPI). You can use PhonePe app to pay your postpaid and utility bills as well as recharge your prepaid mobile number, data card, and DTH. Send or request money from loved ones by entering their number, name or VPA. Want to split the popcorn bill with your friends after watching a movie? With the PhonePe app, you can do that too! You can also check your bank account balance or scan QR codes to pay. They joined the bandwagon of introducing scratch cards as well to increase overall user acquisition. Through adverts of various kinds and social media, they have been able to capture the Indian audience by providing insightful offers and monetary benefits. The scratch card system is relatively new and is slowly picking up steam in order for mobile to increase overall user acquisition and retention. It’s hard to say if other application will join the bandwagon simply because of the number of resources both technical and monetary. However, it’s interesting to see what users really want. With the scratch card feature, it is now a standard to provide benefits else they use them. This can be a dangerous playground especially if the standard has already been set. It’s time for developers to take a closer look if they are really up for the pressure to keep up with their users.